Hey gang! 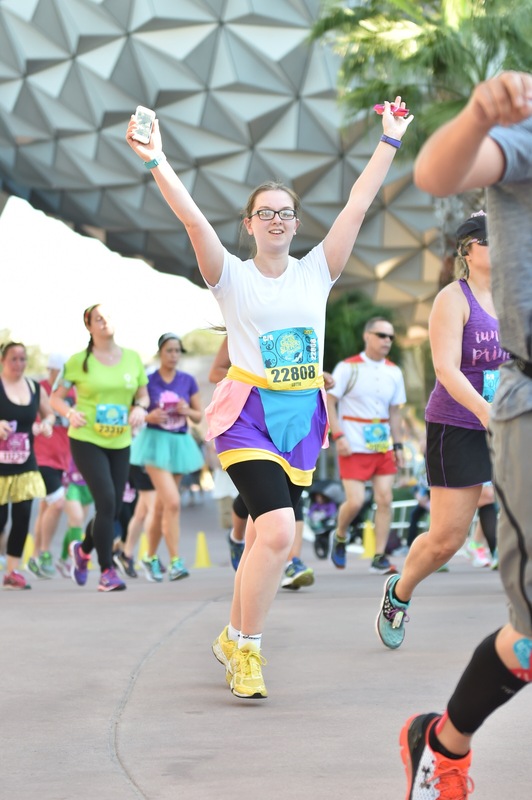 Well I dunno about you but I’ve had quite a day..
Up again at 3.30am and on a bus in under 20 minutes, but thanks to a crazy amount of traffic, it took us over an hour to get to Epcot for this mornings race! I finally got into my corral at 5:30am, which is when the race was due to start, but luckily thanks to the bad traffic, the start was delayed 10 minutes so I didn’t miss out on anything. The race itself was a classic combination of hard work and a lot of fun; I probably spent about 30-40 minutes waiting for various character stops along the way, but also being my first half without my dad, I struggled a little bit to work with a proper pace and ended up winging it just a bit! I did come in quicker than the time I had set as a sort of goal, so no complaints here, and I was back to the hotel in no time for a bath and, today, a nice long nap, while Sarah went on a solo excursion. 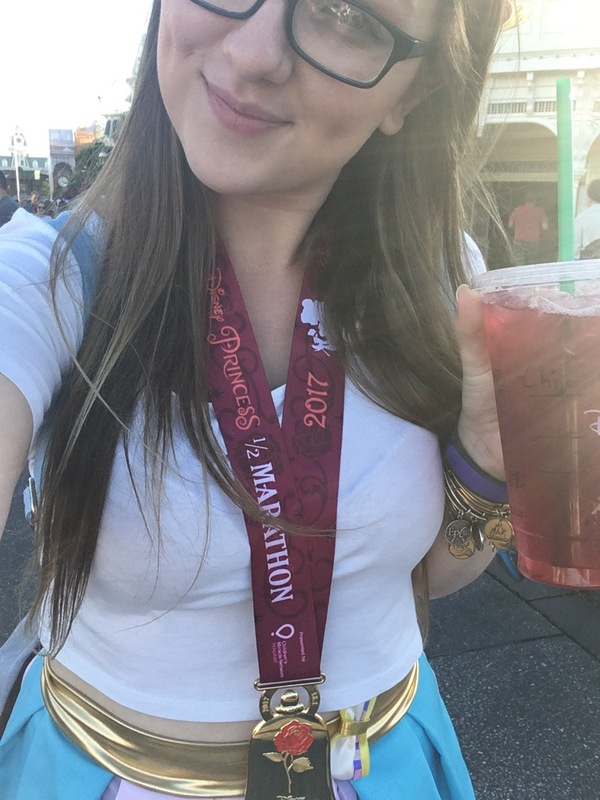 Once I was back on my feet (just barely) I headed into the Magic Kingdom ready for a day of twirling around the place in my beautiful Chip skirt. 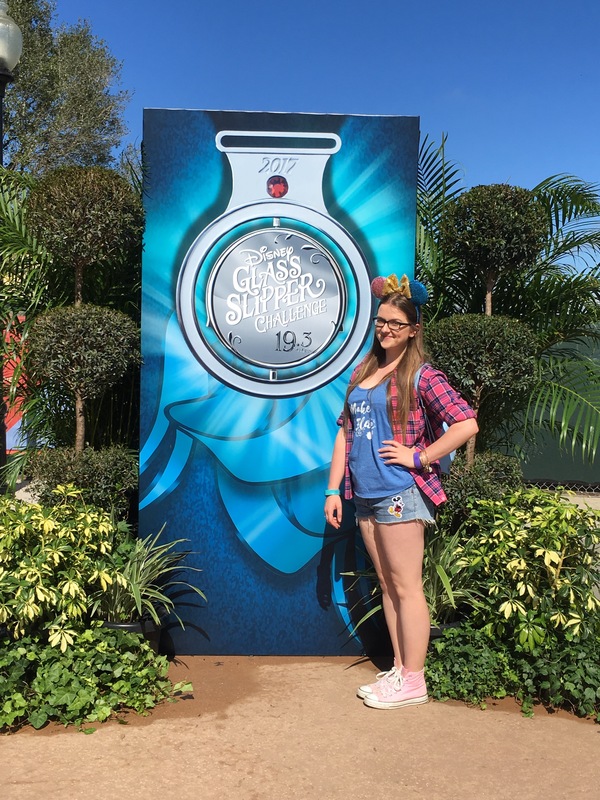 First stop of the day was meeting Stitch in Town Square, and he loved my outfit and knew exactly who I was, pointing to the picture of Chip on Sarah’s tshirt! Then we had fastpasses for Space Mountain, but not until after I re-carbed with a Mickey pretzel, and we got put on the Alpha track – BOO. With some time to kill before Merida was back meeting (due to her being on parade) we went over to Be Our Guest and luckily there was a photopass photographer outside to take some photos of us in front of Beast’s castle. 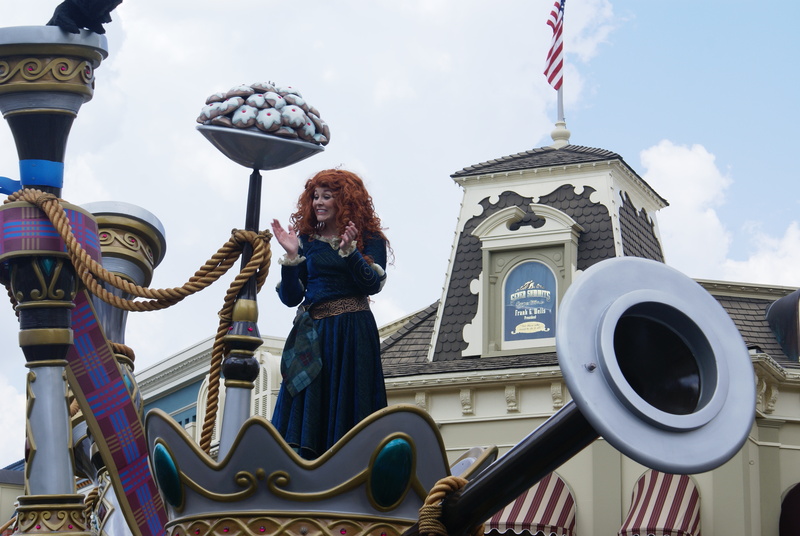 Meeting Merida was big for us, as she was the last of all the princesses for us to meet. That’s right, it’s day 6 and we’ve done all of the princesses, eek! And speaking of princesses, next we had fastpasses for Enchanted Tales with Belle, where I was chosen to play Mrs Potts (because an adorable kid was cast as Chip) and Sarah played the operatic wardrobe! 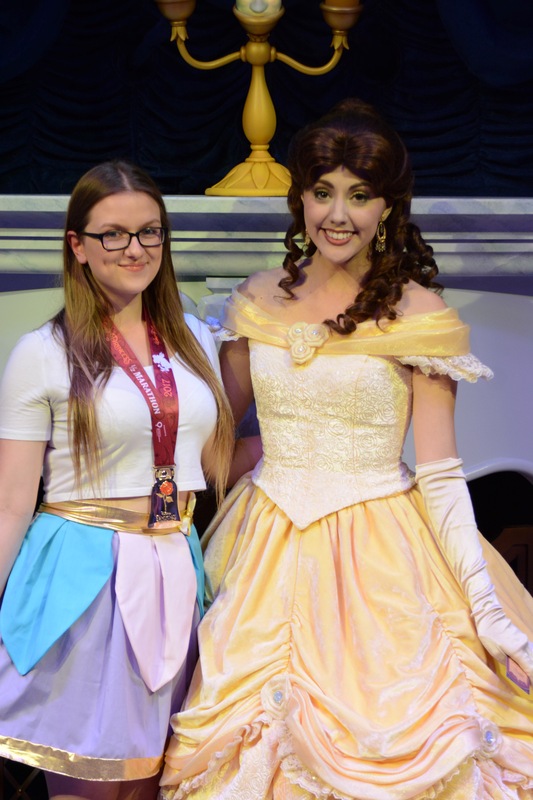 It was my first time being part of the show, and Sarah’s first time altogether, so it was amazing that we both got to be in it and meet Belle for photos too as well as get an Enchanted Tales bookmark! 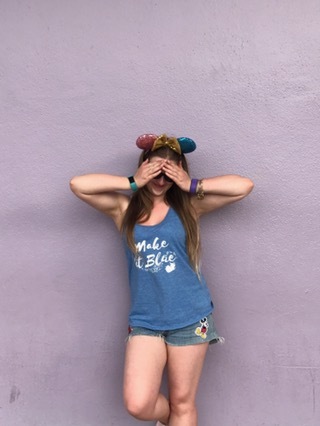 We then wandered through Fantasyland to the Tangled toilets for some photos *cough* new range coming to The Happiest Fitness Co *cough* and met Peter Pan by the Neverland map. 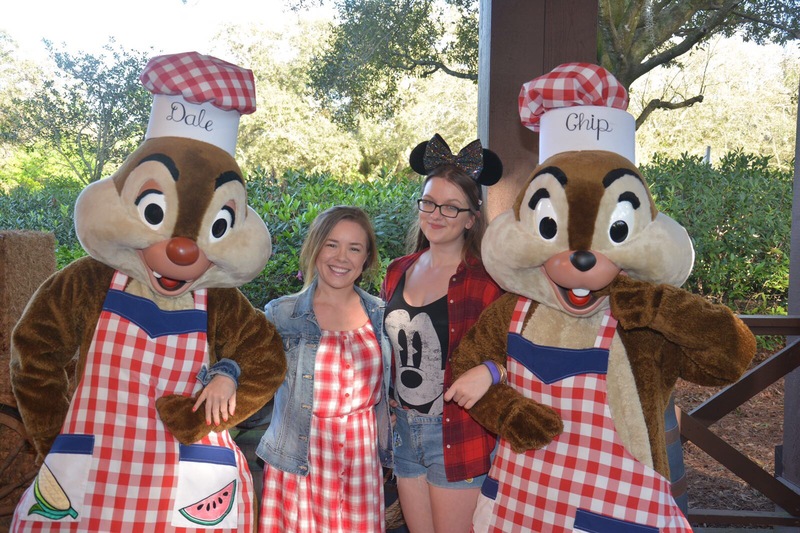 Afterwards, we ticked something off our Disney bucket lists by going to Starbucks and giving cute Disney names – Chip and Belle to be precise! A quick hub grass chill and a little bit of Move It Shake It, and we headed back to Be Our Guest for dinner! 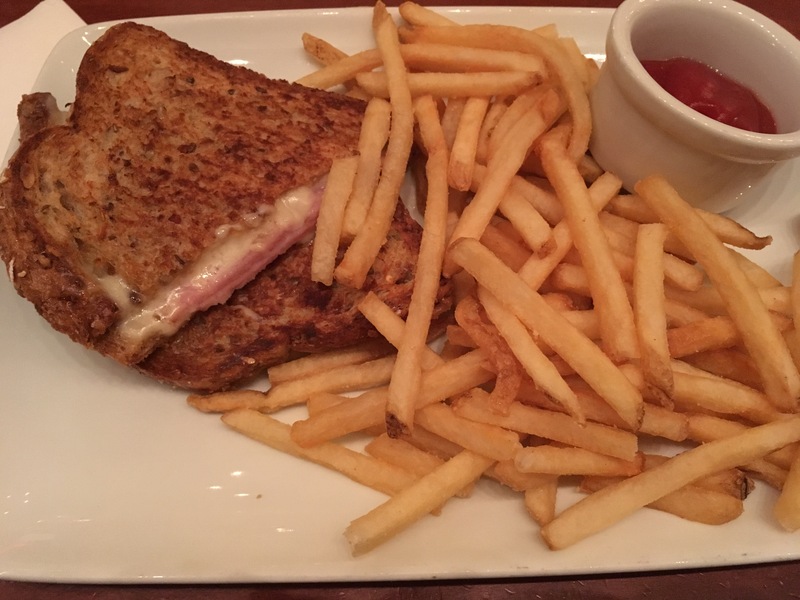 It was my first time doing table service there, having only eaten once before during quick service lunch, and it did not dissapoint! 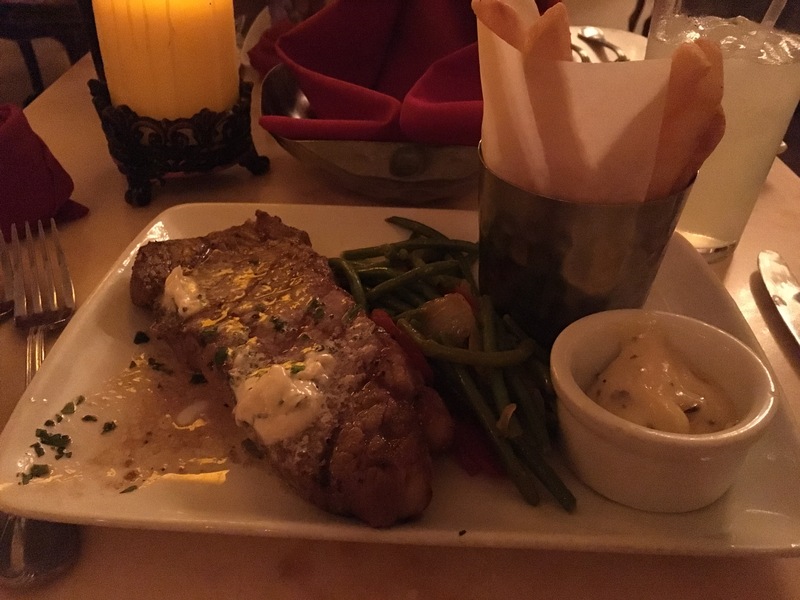 We had steak which was delicious, and super filling, so fitting in the lemon meringue cupcake for dessert was a little bit of a struggle. 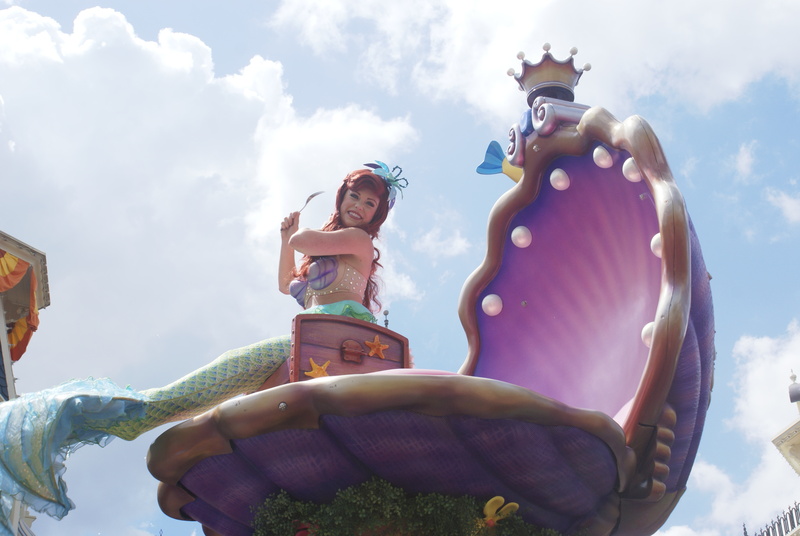 After we ate, we had a photo with Beast, then headed back into the now cold and dark park, and to Ariel’s grotto for a quick mermaid meet. As we headed to Main Street USA, the new projection show Once Upon A Time was starting, so we stopped midway down the street to watch it. 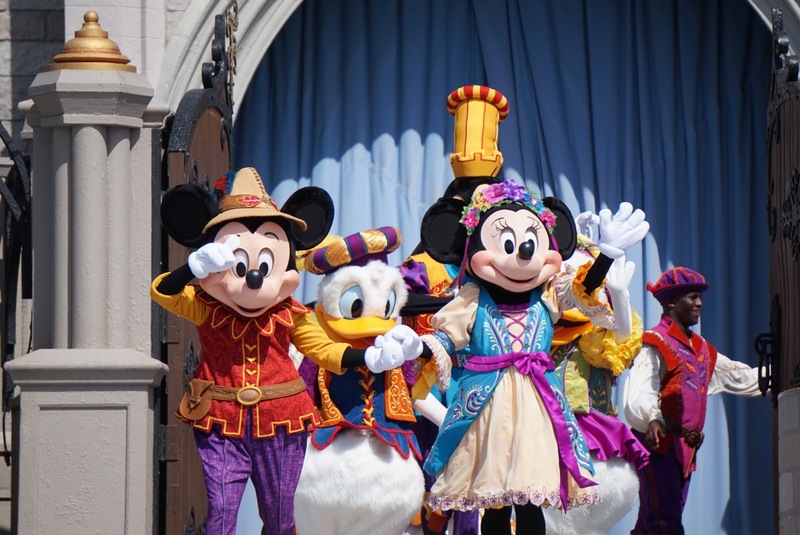 Now I loved the old show, Celebrate the Magic, so I was a little unsure how to take this change, and as much as I hate being negative, I was so disappointed. Compared to Celebrate it just didn’t match up, and I didn’t even have to fight back a single tear – and I cry at everything. I’m glad I’ve seen it, but I probably wouldn’t bother again. Finally, we finished up with a late fastpass to Big Thunder, because the wildest ride in the wilderness is ten times wilder at night! And with that, it’s time for me to go to bed..
Today has been magical. Because we forced ourselves to stay up so late on Monday night, we slept right through til 6am with no troubles, and hopped on the resort bus into the Magic Kingdom for pre-opening entry, courtesy of our breakfast reservation at Cinderella’s Royal Table. We did empty(ish) Main Street and castle photos, before heading round to the back of the castle to the restaurant. Oh my gosh, it was the most magical breakfast! 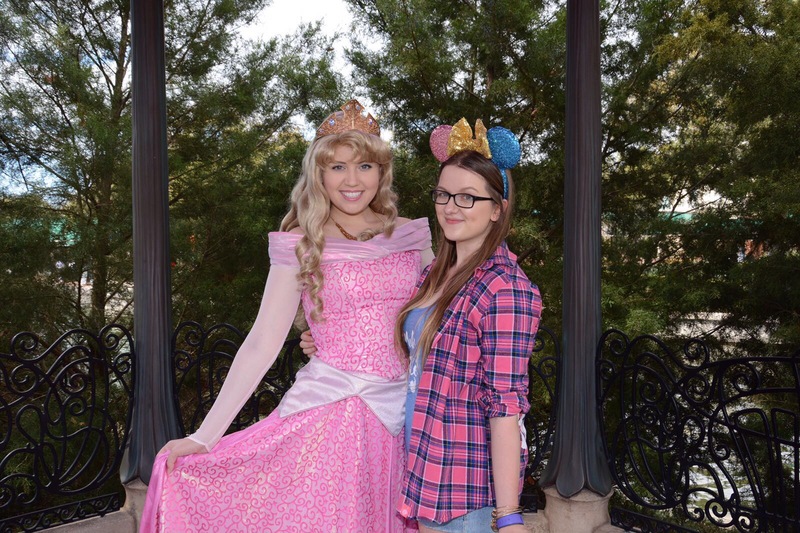 Full review to come, but 5 princesses, amazing food, and well, WE WERE INSIDE THE CASTLE. Our server was also really lovely too! 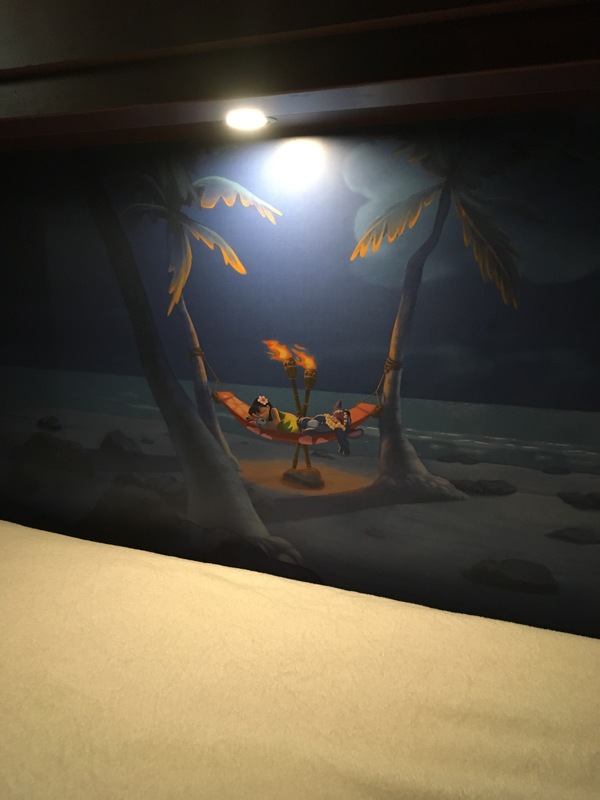 We left the restaurant just after 9, yet the park was still pretty empty to we wandered to the Tangled toilets and then through to Liberty Square, where we stumbled across a pair of mischievous cowboy chipmunks, and we had such a fun play with them, before we headed over to my traditional first ride of Pirates of the Caribbean! On our way back through to Fantasyland, we spotted Mary Poppins at the gazebo, and had a chat and a few photos with her! 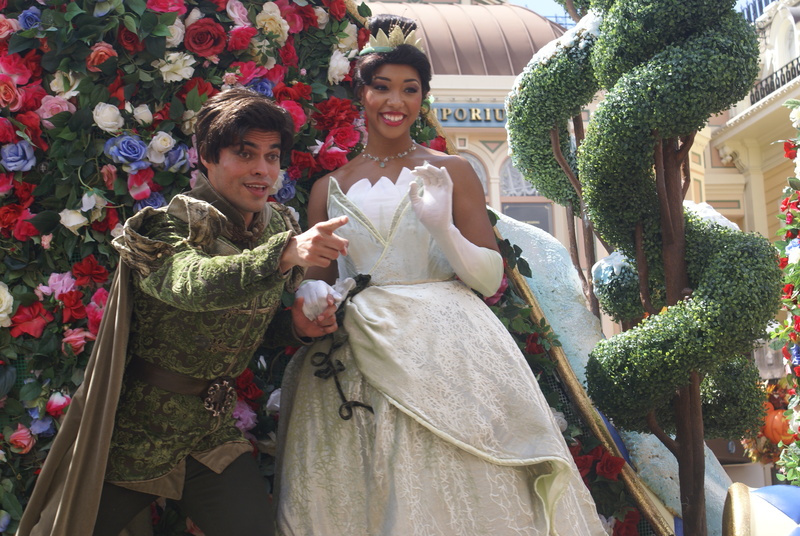 From there, we had our Fastpass at Princess Fairytale Hall with Rapunzel and Tiana, then bumped into the Fairy Godmother just outside – 11 characters before 10.30! Next was a ride on Dumbo, and then Starbucks on Main Street #disneybasic. 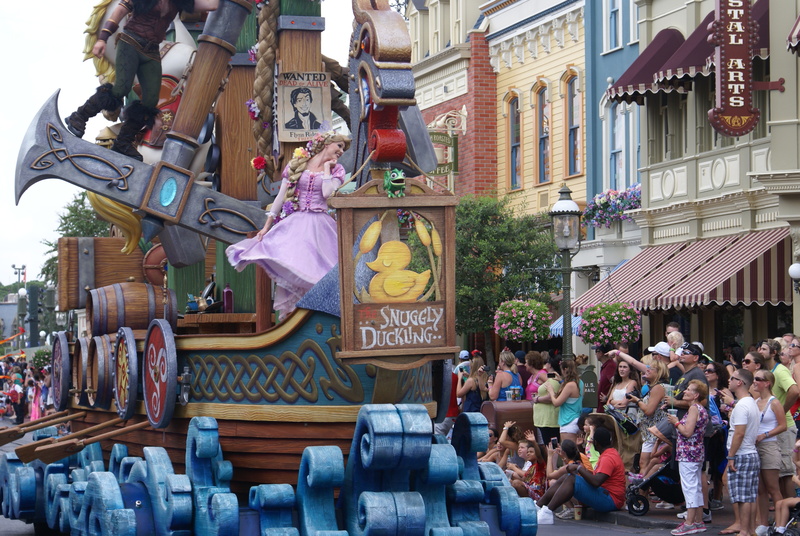 We sat on the hub grass being classic WDW girls with our Starbucks and listened to the music from Move it, Shake it, and watched as the floats headed back up Main Street, and then Royal Friendship Faire began on the castle stage. 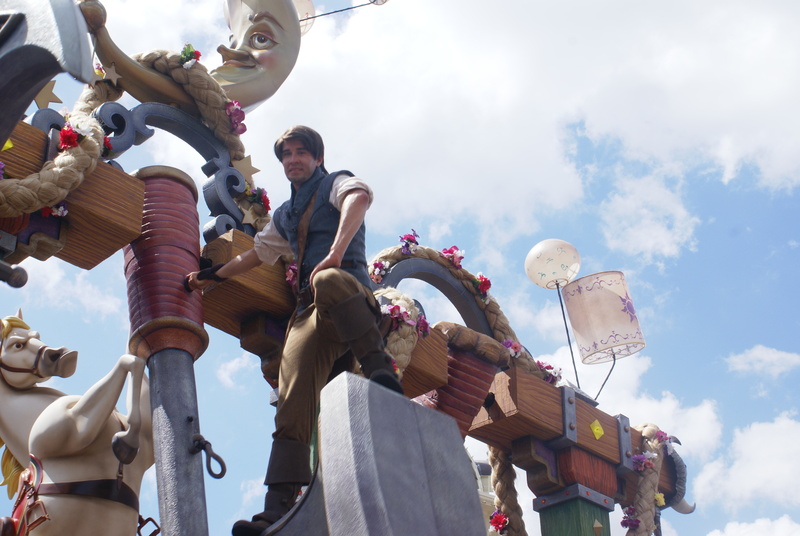 I was super excited to watch it having last been here when it was Dream Along with Mickey, and safe to say I fell in love with it – Princess and the Frog, Tangled, Donald.. It brought a tear or two (I mean, I know everything at Disney does, but still) and I’m definitely looking forward to watching it again and hopefully getting some better photos with my telescopic lens! After the show, we had our Fastpasses for Seven Dwarfs Mine Train, then walked through the now super busy park, and ended up in the Enchanted Tiki Room. Now in Adventureland, we came across Aladdin and Jasmine meeting in the bazaar, so we waited to meet them, and then headed to Tomorrowland and hit Carousel of Progress before our Space Mountain fastpass. 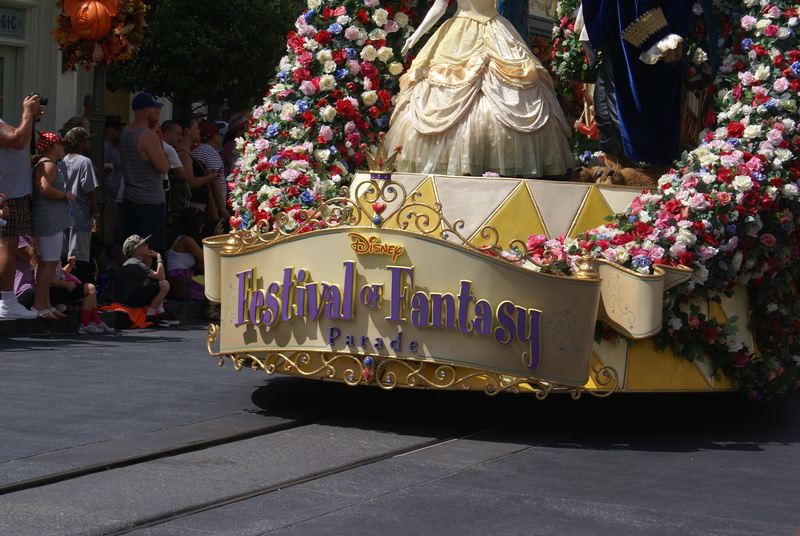 It was then about 2.30 so we rushed back to Main Street for Festival of Fantasy, only to find it was packed and only got a mediocre view, but hey ho.. The park was HEAVING and queue times were ridiculous for everything, so we decided to beat the odds and get some food – also cos we hadn’t eaten since breakfast – at Cosmic Ray’s, since the busy park meant eating at a normal meal time would probably be absolute chaos. One chicken club and fries later, we decided to do Philharmagic and then head to Tom Sawyers Island, only to find it was shut.. To console ourselves, we headed down Main Street and I dutifully watched Sarah buy her annual pass cos I’m a good friend like that. A quick walk through some shops, and 3 Vinylmations later (oops sorry not sorry) and we made our way back to Its a Small World for our final fastpass of the day. Feet aching and tiredness setting in, we headed to the Tangled toilets to sit down for a little bit in the hope of a magical moment.. AND IT HAPPENED. 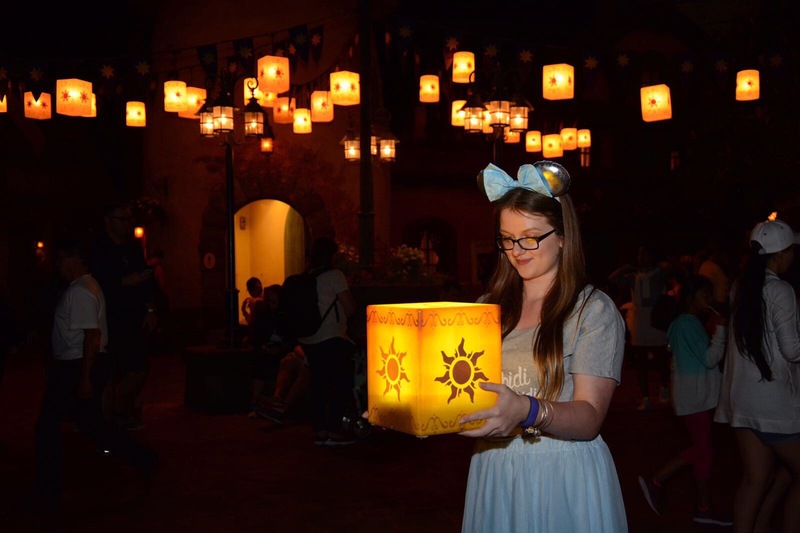 The legendary (or not quite) lantern that’s been the hit of Disney Instagram for the last week, that we were praying might still be a thing this week was!! 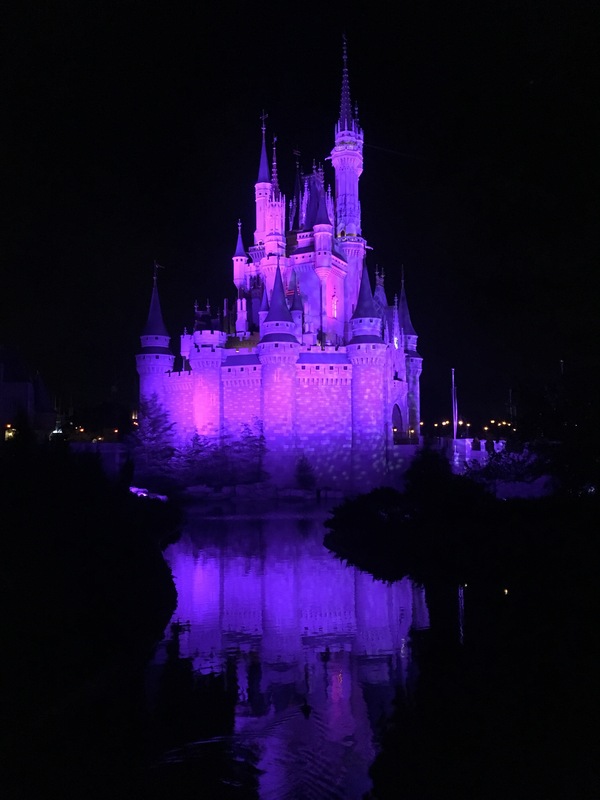 All of a sudden the end of the day became even more magical than it already had been – and then we topped it off with Wishes! Total distance: 9.21 miles, and no, I’ve not even done any running yet.. This is really just a glowing tribute to my absolute favourite and, in my opinion, the best parade Disney World have ever created. I could honestly sit and watch it all day, every day, burning heat or pouring rain. I’m actually writing this while listening to the soundtrack on Youtube, just to keep the magic going. 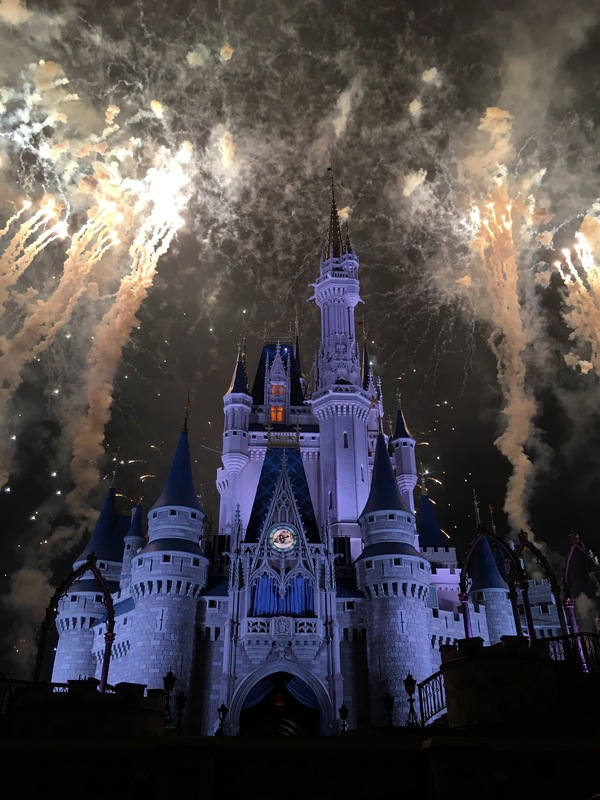 If you only spend one day in the Magic Kingdom, do not let yourself miss out on this truly beautiful display of Disney magic! 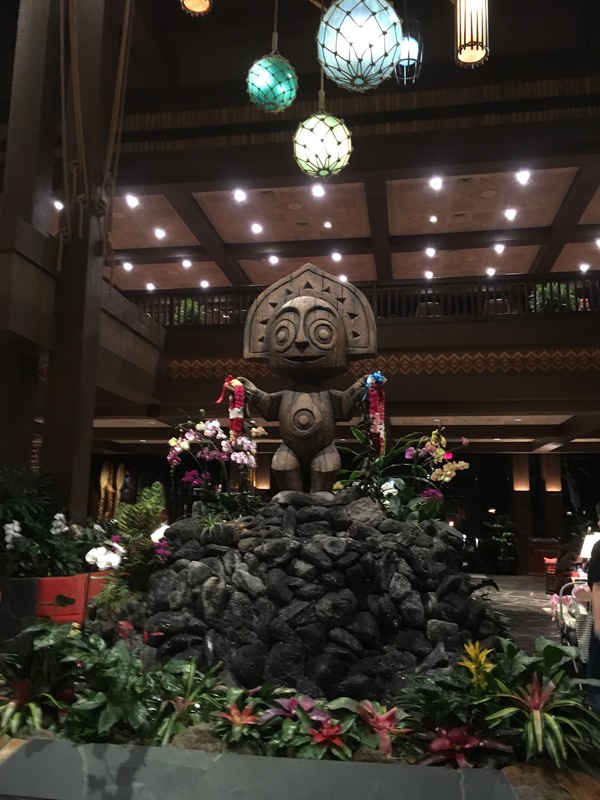 WDW Day 9 – and onto Disneyland! 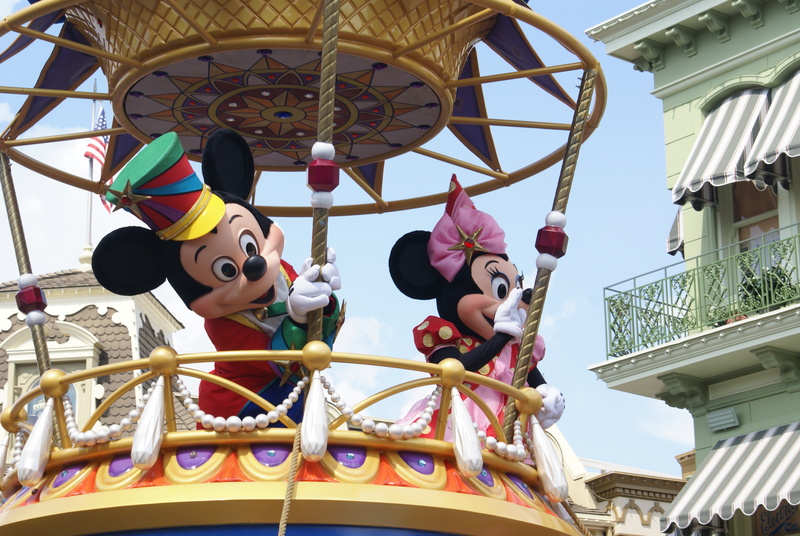 After a quick run, and fighting with our suitcases before checking out of French Quarter, we headed into the Magic Kingdom; overnight all the Christmas decorations had disappeared, so Main Street USA was looking a little bare. First up was Pirates of the Caribbean, followed by breakfast at Liberty Square Market, then Peter Pan’s Flight, Space Mountain and the TTA People Mover before our Haunted Mansion Fastpass time. With some time before our next Fastpass, we wandered back into Fantasyland and caught the railroad, doing a full loop of the kingdom, before getting on an entirely different train: Seven Dwarfs Mine Train. High speed rides out of the way, we stopped off at Pinocchio Village Haus for lunch. A final ride on the carousel, and it was back to French Quarter to catch the Magical Express to the airport, and a 5 hour plane journey and a drive to Anaheim, and we’ve just checked into our hotel! We’re now 3 hours behind Florida time, so 8 hours behind UK, and off to bed for us! 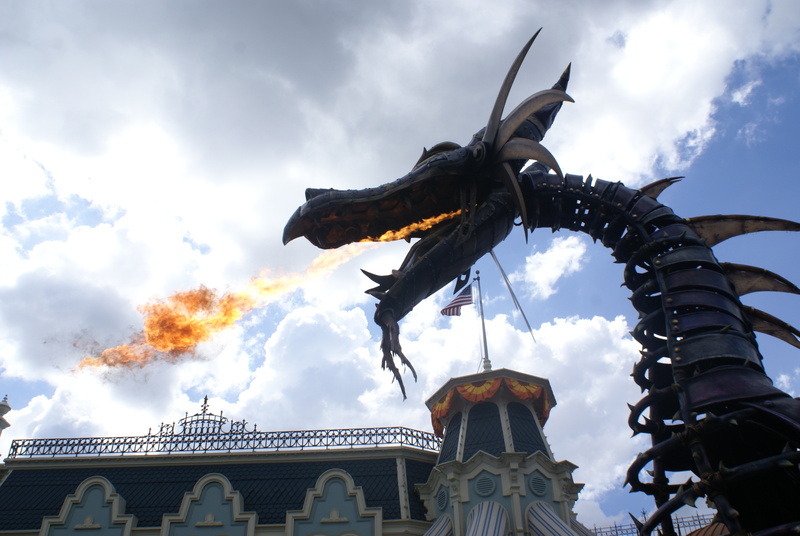 Today was our last full day in the parks, can someone tell me where that time has gone?! 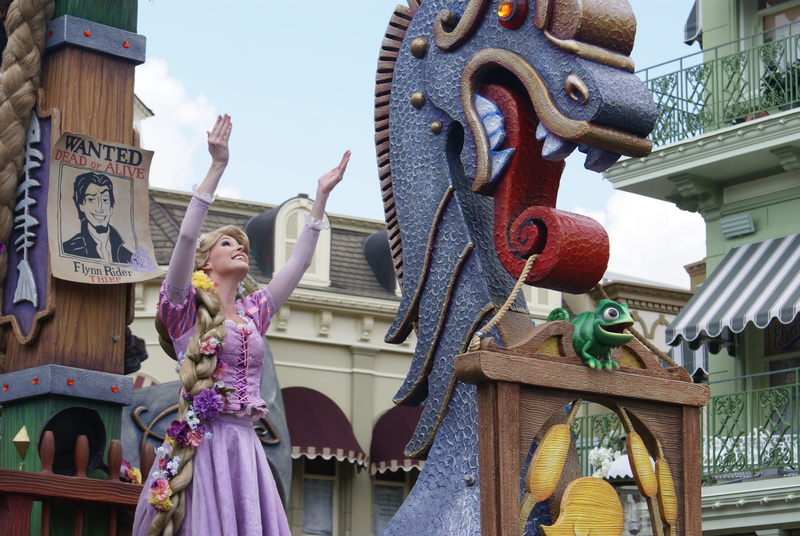 The plan was to have a little bit of a lie-in, then get to the Magic Kingdom for the rope drop. Well, we missed the rope drop, but we did get to do Jungle Cruise, Pirates of the Caribbean, Big Thunder and Space Mountain all within the first hour of park time, so that was pretty impressive in any case! 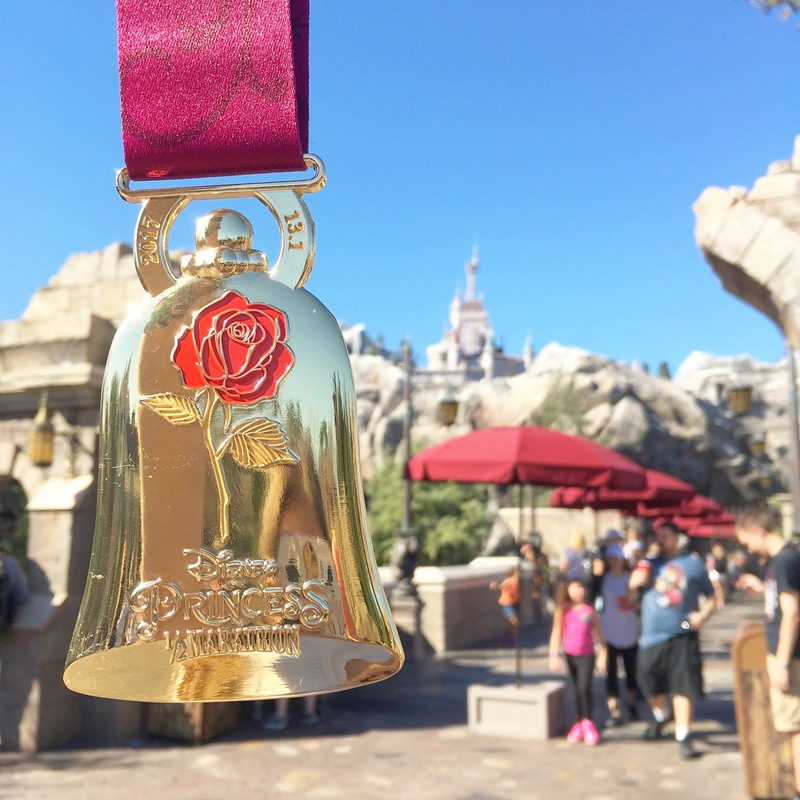 Fast rides out of the way, we stopped at Sleepy Hollow for breakfast: fresh fruit waffle sandwiches in the sunshine, right next to the castle as the first Dream Along with Mickey show was on – kinda perfect, am I right? After our late breakfast, we caught the monorail to Polynesian Village; the lobby was under construction on our last visit, so we were curious to see the changes for ourselves, and it made the perfect stop to hop across to Hollywood Studios for the afternoon. First on the agenda was Star Wars Launch Bay to hang out with Chewie and Darth, and we even got to see a rogue Jawa hanging around! After another Great Movie Ride (gangster this time, in case you were wondering), we finally caved and bought ourselves a BB-8 sipper cup each as well as some popcorn to see Beauty and the Beast live on stage. After the show, we headed across to Star Tours, but as we were a little early for our Fastpass slot, we decided to watch the Jedi Training Academy show, which was pretty adorable. You might have caught my tweet about how it’s been updated to include some TFA stuff, but we asked a CM today and it turns out there are 50 different variations of the simulation, crazy! Next up some Muppet Vision 3D, followed by late lunch at Studio Catering Co, then One Mans Dream (all the feels!) before out Tower of Terror Fastpass. You may have heard me talk about my love/hate relationship with this ride before, and it’s pretty simple: I hate waiting for the first drop, after that I’m totally cool, and it works fine because I know that it doesn’t drop until you reach the top and look out over the park. Nope, not this time! The first drop was done totally in the dark; I felt betrayed, but at least it was over. After that we made our way to Fantasmic nice and early because of our Fastpasses, and to avoid the mad rush that happens so often. It was magical as per, when Mickey comes out on the boat as Steamboat Willie..
After the show, we made our way to our favourite spot to watch Symphony of the Stars for our last time this trip. It was no less magical the second time; you can physically feel the bangs pass through you! Tomorrow is our last day here (waa! 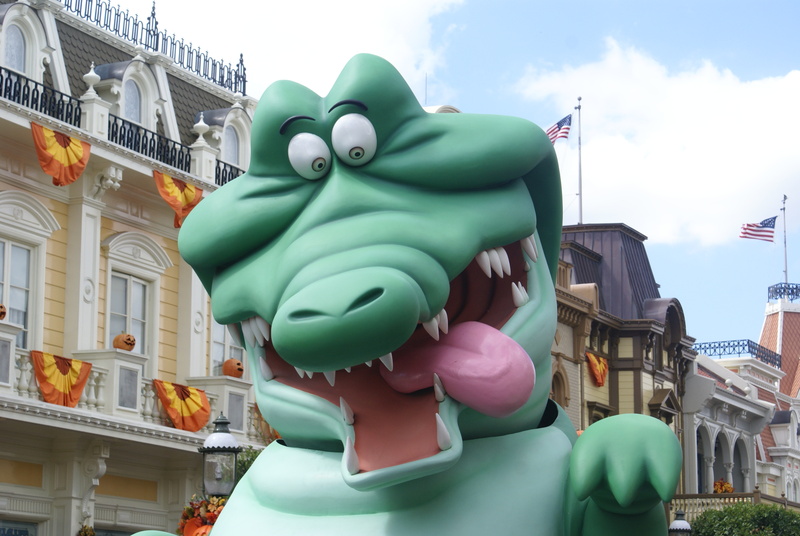 ), but I’m getting so excited to return to Disneyland!